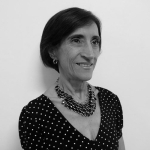 Lucia Faria has worked at WSDG Brazil since 2001 as an administrative and finance assistant. Her responsibilities include coordinating client and architect tasks and maintaining a full range of office and clerical demands. Lucia has an Accounting degree from the University of Minas Gerais (PUC-MG) and focuses her energies on maintaining an efficient, highly organized work environment for the WSDG Brazil team.